95% – 99% TDS Rejection. 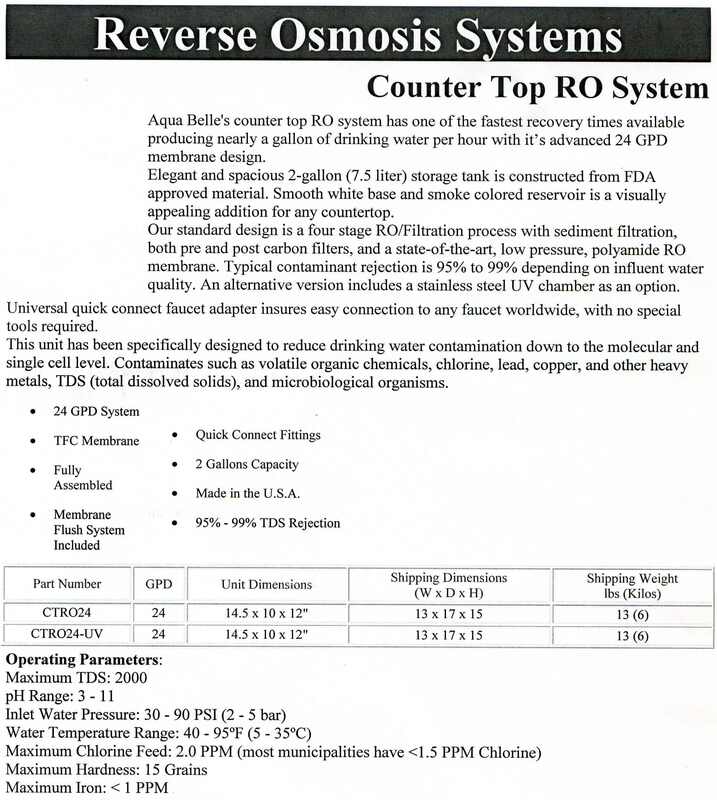 Aqua Belle’s counter top RO system has one of the fastest recovery times available producing nearly a gallon of drinking water per hour with it’s advanced 24 GPD membrane design. 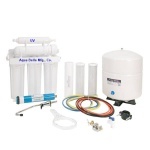 Elegant and spacious 2-gallon (7.5 liter) storage tank is constructed from FDA approved material. Smooth white base and smoke colored reservoir is a visually appealing addition for any countertop. 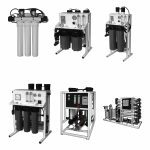 Our standard design is a four stage RO/Filtration process with sediment filtration, both pre and post carbon filters, and a state-of-the-art, low pressure, polyamide RO membrane. 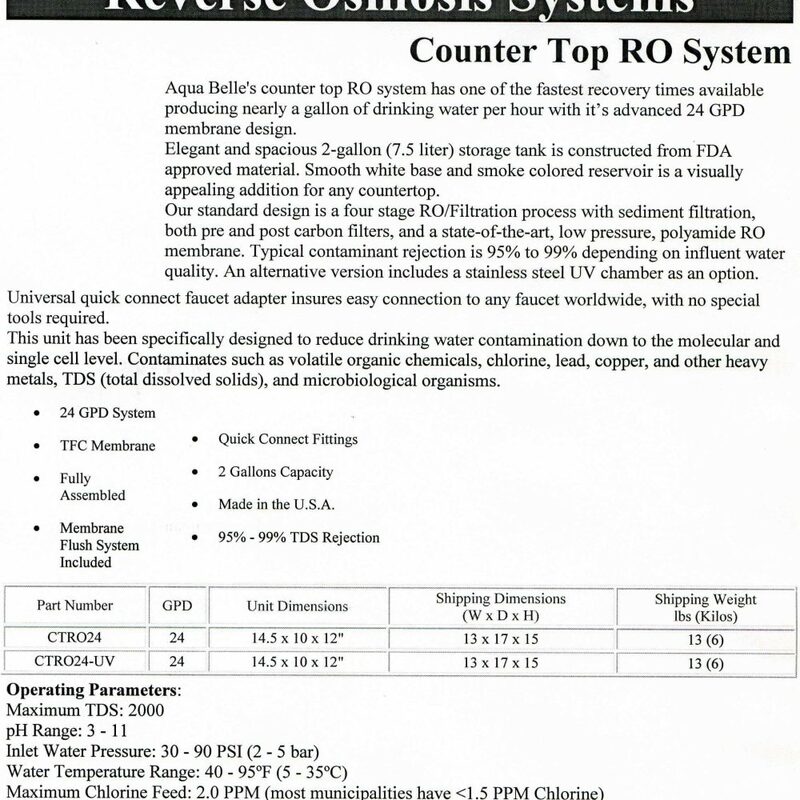 Typical contaminant rejection is 95% to 99% depending on influent water quality. 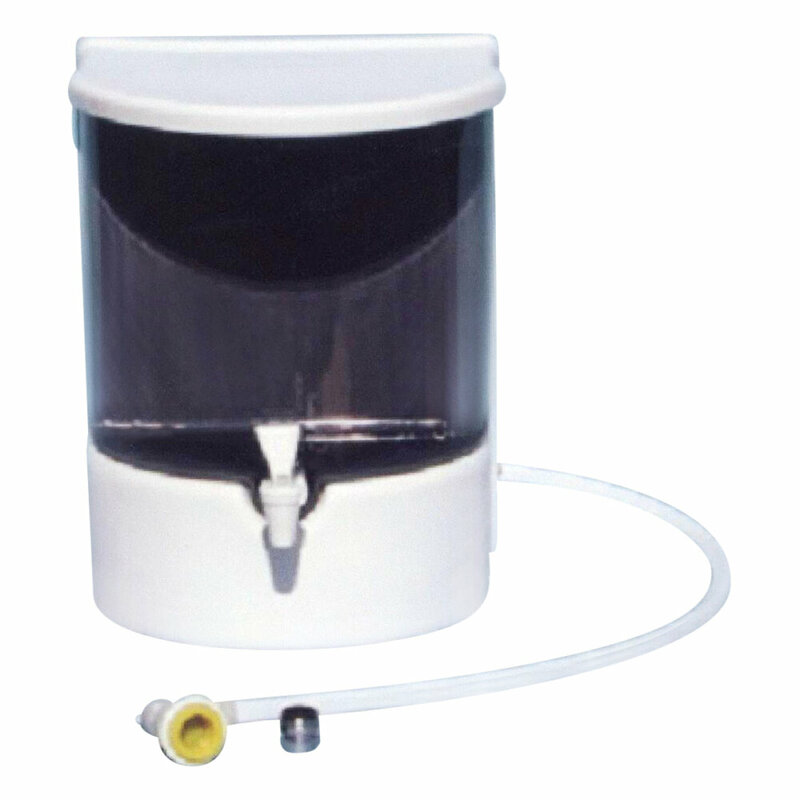 An alternative version includes a stainless steel UV chamber as an option. You receive clear, refreshing water that is not only healthy to drink, but is good for appliances such as ice makers, steam irons, humidifiers, and car batteries. It’s better for your pet’s drinking water too. Click on the Spec Sheet for more details.